China's paramount leader, Xi Jinping, has emerged from the recent 19th Party Congress stronger than at least his past two predecessors. Xi solidified his grip on power by enshrining “Xi Jinping Thought” into the Party constitution and unveiling a new Politburo Standing Committee that does not include a clear successor, suggesting he may break with recent precedent and remain in power after his second five-year term. Xi continues to derive leverage from his anti-corruption campaign, likely indicating that his rule will go unchallenged for the foreseeable future. 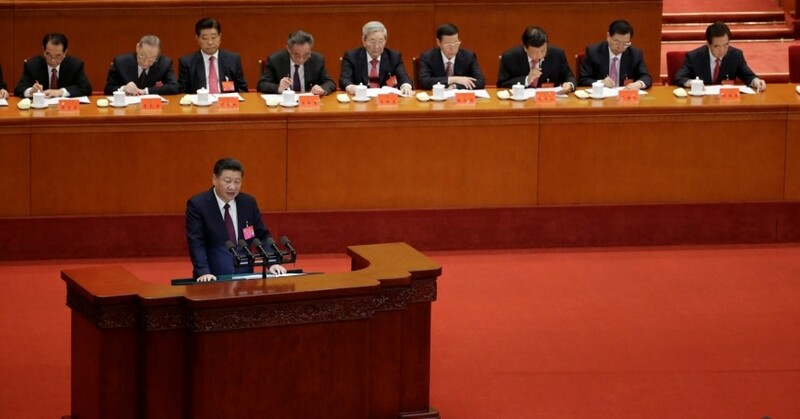 During the party congress, Xi also revealed significant changes to the Central Military Commission (CMC), the top body overseeing the People's Liberation Army (PLA). 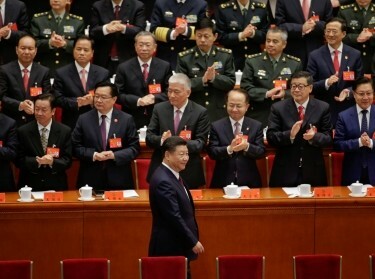 The current CMC features fewer seats than the previous CMC, and Xi has either promoted from within the previous CMC or recruited new officers to carry out his priorities for the military. All of these changes will have a major impact on the PLA and in particular on China's aerospace forces, which include the PLA Air Force (PLAAF), PLA Rocket Force (PLARF), and PLA Strategic Support Force (PLASSF). The central theme of Xi's opening address was the need to “strive for the great success of socialism with Chinese characteristics for a new era, and work tirelessly to realize the Chinese Dream of national rejuvenation” (Xinhua, October 18). Since 2013, Xi's Chinese Dream has envisioned a modern, prosperous, and strong China by 2050. Boldly echoing “Mao Zedong Thought” by referring to his own ideology as “Xi Jinping Thought on Socialism with Chinese Characteristics for a New Era,” Xi enshrined his doctrine into the party constitution, making it an all-pervasive feature of Chinese politics and society (China Brief, November 10). Although his predecessors also enshrined their ideologies into the constitution, only Mao Zedong, Deng Xiaoping, and now Xi are listed by name in the constitution. It is a true testament to Xi's elevated stature that he is now associated with these founding communist revolutionaries. Xi's power in part is derived from his continued anti-corruption campaign that resulted in the removal of nearly two thousand Chinese Communist Party officials and PLA officers. Within the military, the campaign has toppled a number of “tigers,” including at least 45 at the rank of major general and above, according to the ChinaFile tabulation of Xi's anti-corruption campaign (ChinaFile, as of October 31, 2017). Just prior to the 19th Party Congress, Xi sacked two PLA generals—the chief of the CMC's Joint Staff Department, General Fang Fenghui, and the director of the CMC Political Department, General Zhang Yang (who recently reportedly committed suicide)—as well former Chongqing Party chief Sun Zhengcai for corruption (China Brief, October 20). Xi's marathon address at the party congress laid out an ambitious way ahead for the continued modernization of the PLA, which he expects to become a top-tier, global military by mid-century. Specifically, in support of the Chinese Dream, which envisions “a strong country with a strong military,” Xi stated that PLA modernization will be “basically completed” by 2035, and that by 2050 the PLA will have been “fully transformed” into a “world-class force,” one that is capable of deterring or defeating potential adversaries and supporting China's expanding global interests. Xi detailed the need for PLA modernization across all services, and reiterated China's pledge to raise the PLA's “preparedness for all strategic directions,” probably meaning that the military should have plans for multiple potential contingencies. Increased readiness, coupled with growing combat capabilities will better enable China to “manage crises and deter and win wars,” according to Xi. Then, in June 2016, the PLAAF began highlighting the importance of building a “world-class” air force—foreshadowing the wording of Xi's address to the party congress. For example, Wang Mingliang, a professor at the PLAAF Command Academy, stated that the Y-20 transport aircraft entering into service was “an indication that the Chinese Air Force had taken a major step toward a world-class air force.” In May 2017, the People's Daily included the need to build a “world-class air force” alongside former leaders Jiang Zemin and Hu's Jintao's earlier calls to integrate offensive and defensive capabilities into the force (People's Daily, May 7). Jiang and Hu's directives represented fundamental transformations of the PLAAF's roles, missions, and capabilities, and the fact that Xi's directive is mentioned alongside theirs strongly suggests that Xi expects China's air force to undergo another major transformation to support China's expanding regional and global interests. The Party Congress speech and new CMC also suggest a continued emphasis on the modernization of China's strategic missile force and the PLA's space, cyber and electronic warfare (EW) capabilities. Xi promoted former PLARF Commander Wei Fenghe, an incumbent CMC member, to the position of third in rank on the CMC. This suggests Wei may be poised to become China's next Minister of Defense (this was the case with General Chang Wanquan after the CMC was revealed in 2012), which would enable him to wield significant influence over not only the inner workings of the Ministry itself but also in dialogues with foreign counterparts. Moreover, Xi's emphasis on the strategic missile force and the development of new capabilities for the PLARF in recent years suggest it is another service in ascendance that will certainly remain the focus of PLA modernization. For example, when Xi visited PLARF headquarters in September 2016, he highlighted its status as the “core of strategic deterrence” and emphasized its importance to China's great power status and national security (China Military Online, September 26, 2016). This role was further highlighted during the military parade marking the PLA's 90th anniversary on 1 August 2017 when the Rocket Force unveiled its new DF-31AG ICBM. Even China's older missiles are seeing improvements as China's strategic missile force continues to develop hypersonic glide vehicles (HGVs) to improve its ability to counter adversary missile defenses. 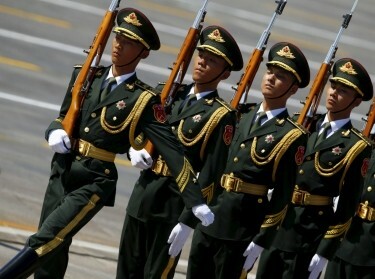 Despite the rising prominence of PLA generals relevant to China's aerospace forces on the new CMC, it nevertheless remains the case that the majority of the new CMC is ground forces officers—two non-PLA Army (PLAA) and four PLAA officers. Moreover, even when considering Xi's decision to reduce the size of the CMC, from 11 to seven seats, the proportion of ground forces to aerospace forces officers is similar to the 2012 CMC. 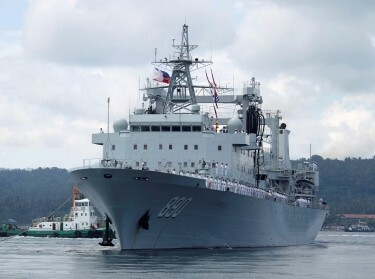 This probably means that the PLAA as a service continues to maintain a privileged position even as China strives to transform the PLA into a joint military. Nonetheless, Xi's promotion of PLAAF commander Xu, coupled with his inclusion of Joint Staff Department chief General Li Zuocheng as a CMC member, strongly suggests that he will press ahead with plans to enhance the PLA's jointness. Although the service commanders were dropped from the CMC for the first time since 2004, the new heads of the PLAAF, PLARF, and PLASSF will still play important roles in shaping the future of Chinese aerospace forces. The newly-minted PLAAF commander, Lieutenant General Ding Laihang, has publicly discussed the need for the PLAAF to increase the range of its power projection capabilities. He recently stated that the PLAAF would “exercises on the open seas will become a regular part of training” (South China Morning Post, September 4, 2017). Meanwhile, although little is known about the new PLARF commander, Lieutenant General Zhou Yaning, he has a reputation for preferring to pay closer attention to weapon system technology over military strategy. He reportedly said: “Warfare in the future will be largely dependent on weapons. Strategy will only help to refine and supplement the technology” (South China Morning Post, September 16, 2017). General Gao Jin, the commander of the PLASSF since its establishment in 2016, is the former president of the Academy of Military Science, which is responsible for publishing the Science of Military Strategy. His promotion to PLASSF commander is probably an endorsement of the views espoused in these publications (China Brief, February 8, 2016). In short, these commanders will be key operational and strategic interlocutors for U.S. policymakers and military officials. Given Xi's tight grip on power, the U.S. should expect that his directives on military modernization will be aggressively enforced. Xi appears to value the status afforded to China and to him of mirroring or even surpassing U.S. military capabilities, including in the air and space domains. Xi's anti-corruption campaign enables him to ruthlessly weed out those who do not carry out his orders, or those who are actually too corrupt to effectively fill these roles. Xi's speech and the new membership of the CMC signal that the PLAAF, PLARF, and PLASSF are likely rising in prominence—an important development in a traditionally army-centric military. Derek Grossman is a senior defense analyst at the nonprofit, nonpartisan RAND Corporation. He formerly served at the Defense Intelligence Agency as the daily intelligence briefer to the Assistant Secretary of Defense for Asian and Pacific Security Affairs at the Pentagon. He previously edited China Brief. Michael S. Chase is a senior political scientist at RAND, a professor at the Pardee RAND Graduate School, and an adjunct professor in the China Studies and Strategic Studies Departments at Johns Hopkins University's School of Advanced International Studies (SAIS) in Washington, D.C. This commentary originally appeared on Jamestown Foundation's China Brief on December 7, 2017. Commentary gives RAND researchers a platform to convey insights based on their professional expertise and often on their peer-reviewed research and analysis.